Among Kaiser Permanente Colorado patients treated for high blood pressure, 82 percent have the life-threatening condition under control — up from 61 percent three years ago. One of the largest health-care providers in the state credits the clinical progress to a system that helps identify patients who are at risk for hypertension and then works hard to get them in for regular blood pressure checks and treatment before they become seriously ill. The program got the attention of federal officials. 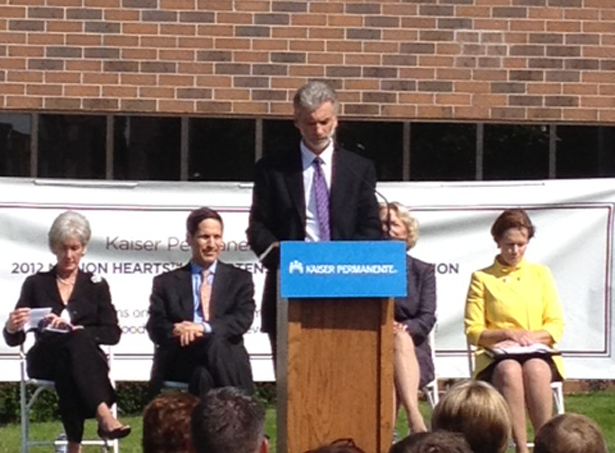 U.S. Department of Health and Human Services Secretary, Kathleen Sebelius, recently presented Kaiser Permanente with the 2012 Million Hearts Hypertension Control Champion award.